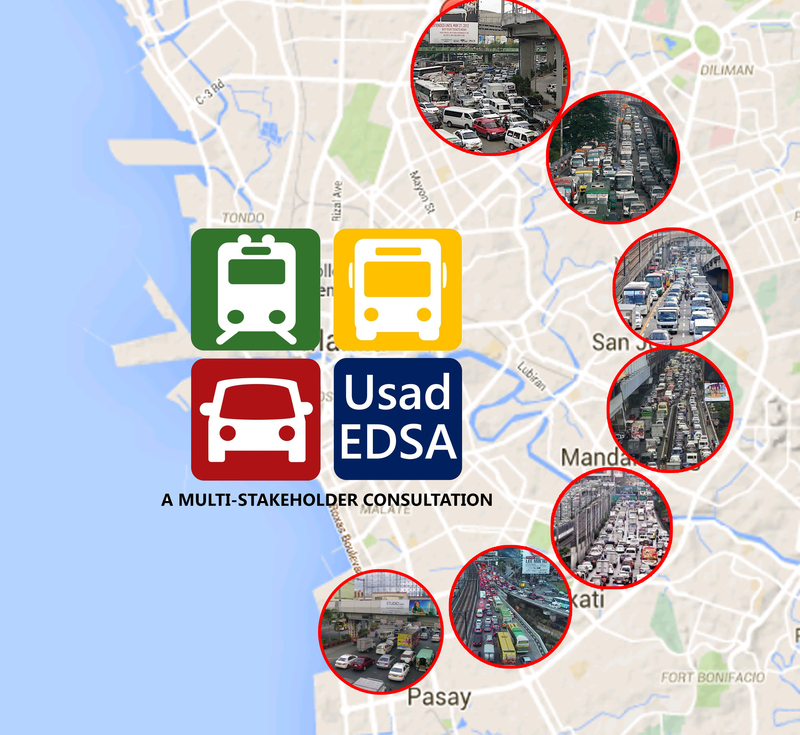 USAD EDSA – What are the actions of the Government Regarding EDSA Traffic? I have the privilege to join with Doctors Ricardo Sigua and Hilario Sean Palmiano, both professors for the National Center for Transportation Studies of the Institute of Civil Engineering of UP Diliman, as representatives of the Institute in attending the public consultation of the government regarding the traffic on EDSA. The program was entitled as USAD EDSA. Representatives of many transport groups were also in attendance to the event that was held last September 24, 2015 at the GT Toyota Auditorium in University of the Philippines Diliman in Quezon City. The event was mainly a decongestion consultation of the government, with Secretary Jose Almendras from the Office of the Cabinet Secretary as the opening speaker. 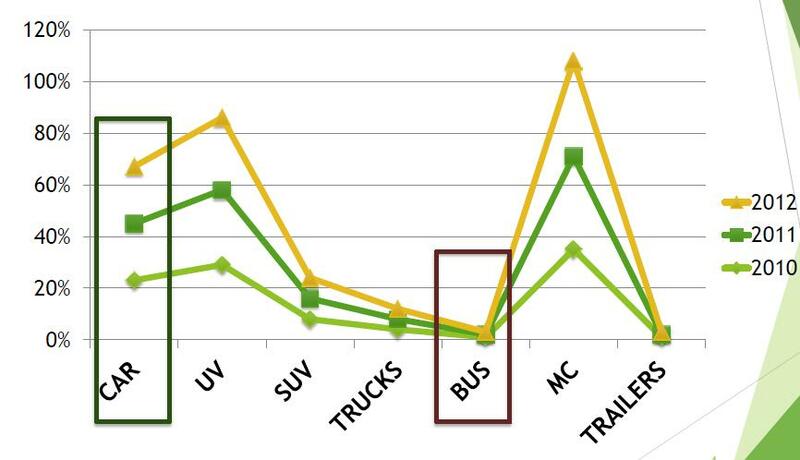 The figure above indicated that the main cause of the traffic is the abnormal ratio between the passenger displacement and the road share occupancy. 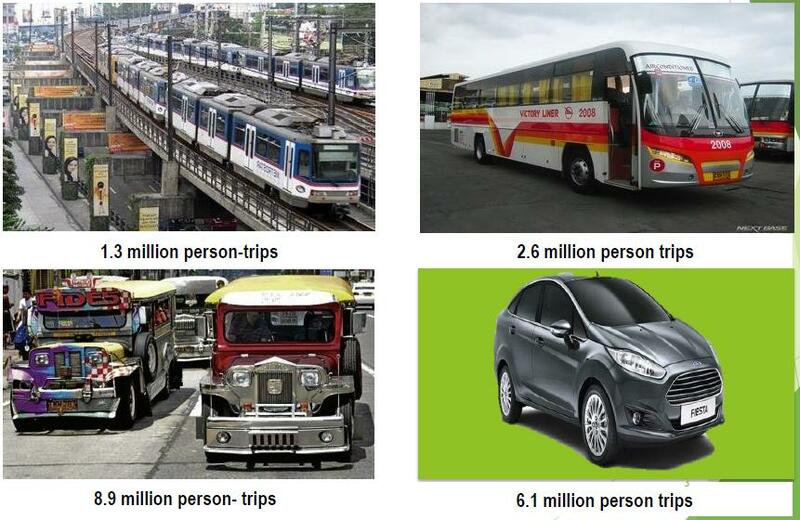 The buses are not the main culprit in the EDSA Congestion. 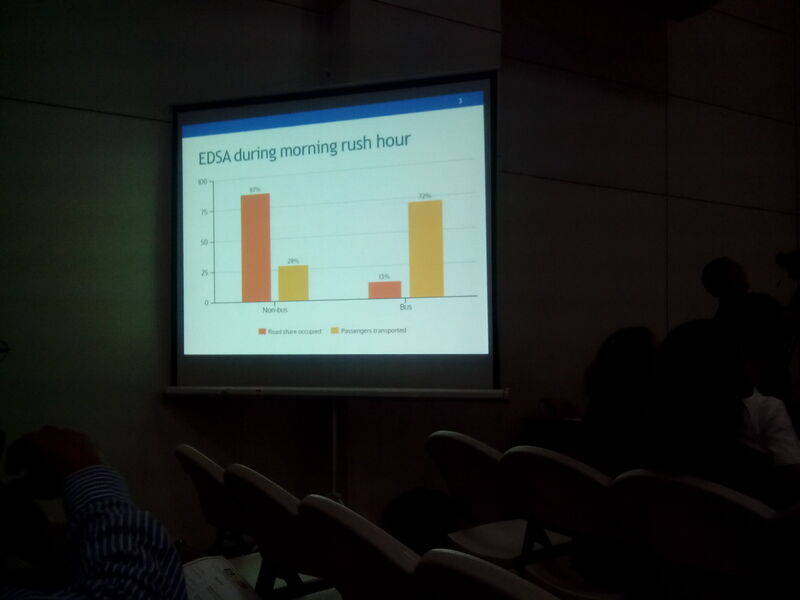 The figure above shows trend of the supply and demand curves on EDSA on various times of the day. 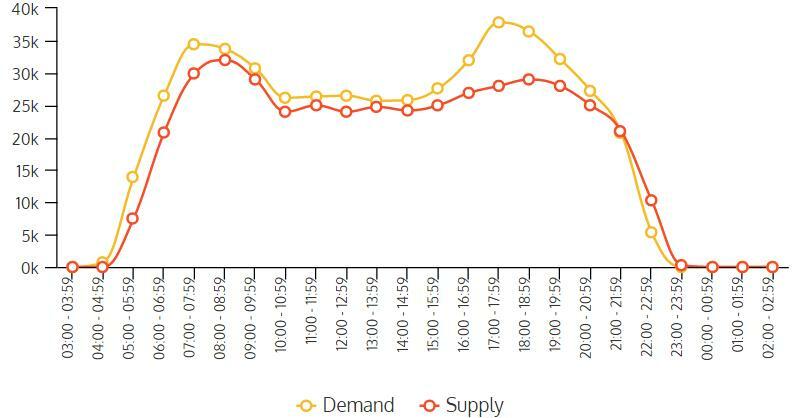 With the exception of the period between 11 pm to 4 am, the demand was always higher than the supply of the passenger transport, especially around the afternoon rush hours where almost 10,000 passengers were not accommodated by the transport vehicles. 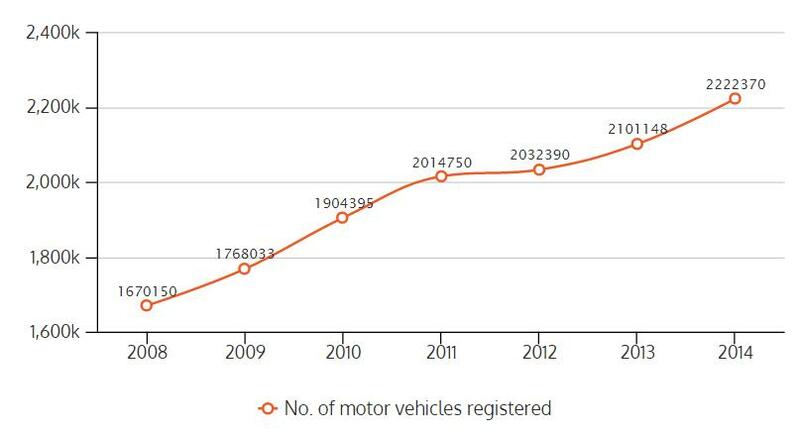 To add with the fact of the excessive ratio between the passenger displacement to the vehicular number, the trend above shows that the motor vehicles are continuously increasing, even though some were unnecessary. Consulted various stakeholders (PEZA locators, port users and bus operators) on rposed traffic schemes, rules and regulations. 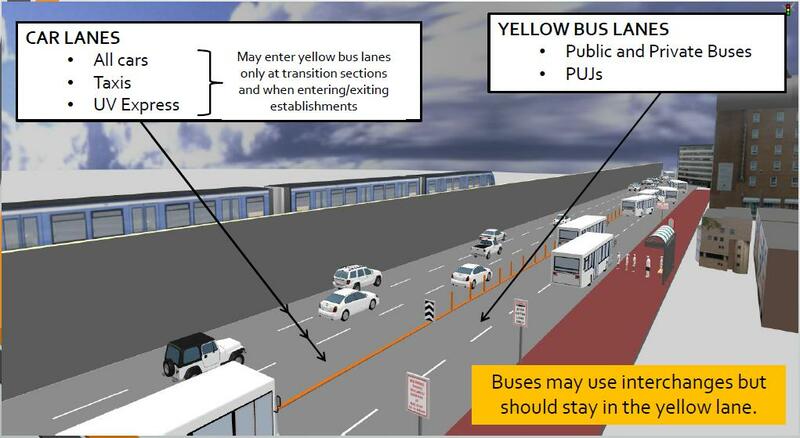 Reiterated use of yellow lane for buses. Tested and introduced new traffic schemes and regulations on certain roads and intersection. Implemented initial road engineering works on critical U-turn slots. Cleared major obstructions on sidewalks and streets. Start operations of Terminal Appointment-Based System fro the International Container Ports. 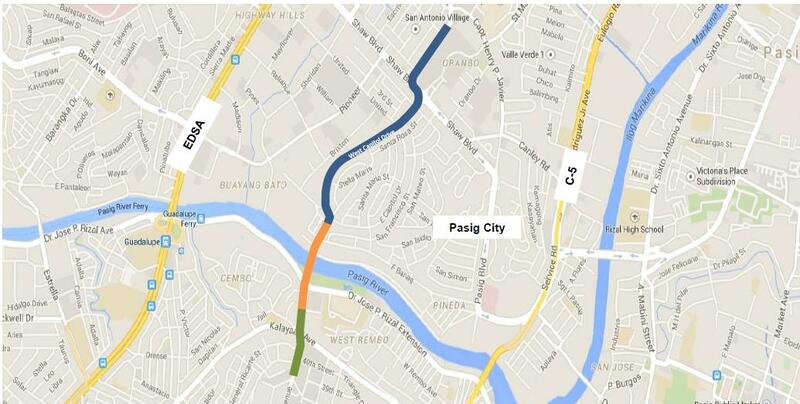 Study one-way traffic scheme for Makati-Mandaluyong and Estrella-Pantaleon bridges. Truck cannot turn left to C.P. 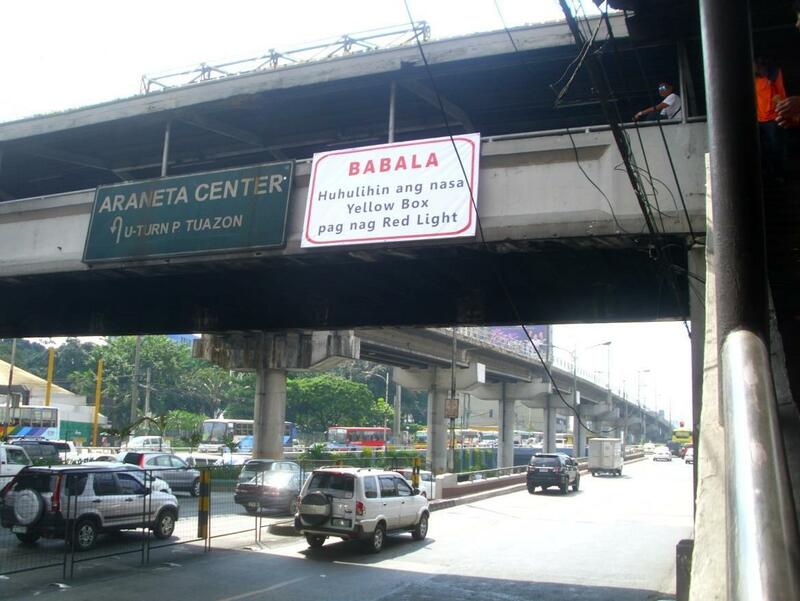 Garcia, instead being route to the Luzon Ave. Flyover. Lift number coding for public buses with a condition of…..
Continue road engineering works such as relocating or extend bus stops, installation of collapsable bollards and removal of obstructions and illegal vendors. 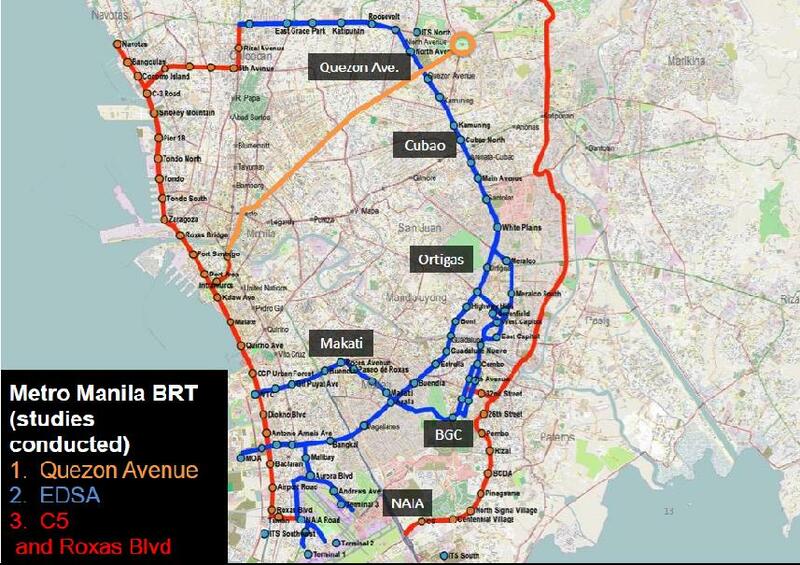 Rail extension projects on LRT-1 and LRT-2. Acquisition of new trains of MRT-3 which will come within 3 years. Construction of the North-South Railway traversing Malolos, Manila up to Los Baños. 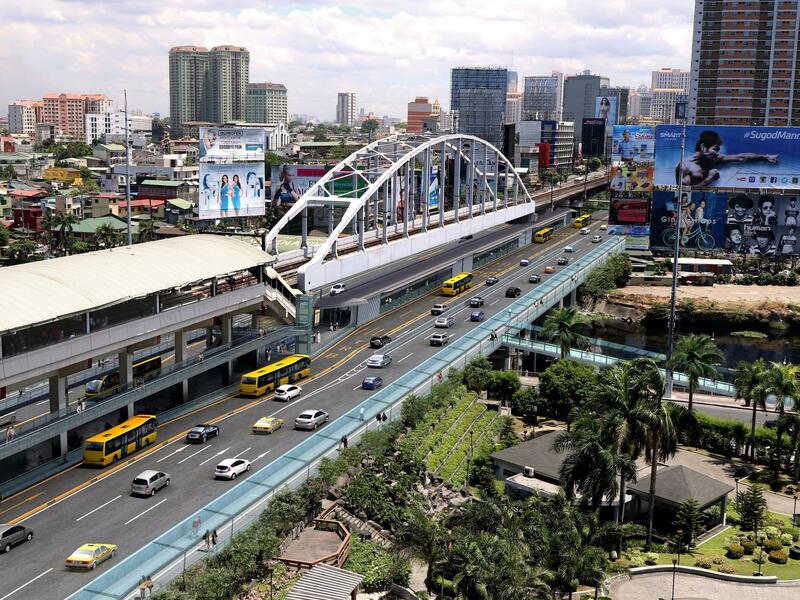 Increasing the number of bridges that crosses the Pasig River, the main reason for the build-up of vehicles because few bridges such as the one on EDSA and C5 were crossing the river. Starting by the construction of Sta. Monica-Lawton Bridge connecting Bonifacio Global City and Ortigas Business District. We now move to the presentation of the Department of Works and Highways which was presented by Secretary Rogelio Singson. The implementation started already with the bus stops at Guadalupe southbound. The next thing in their projects was the construction of the Sta. 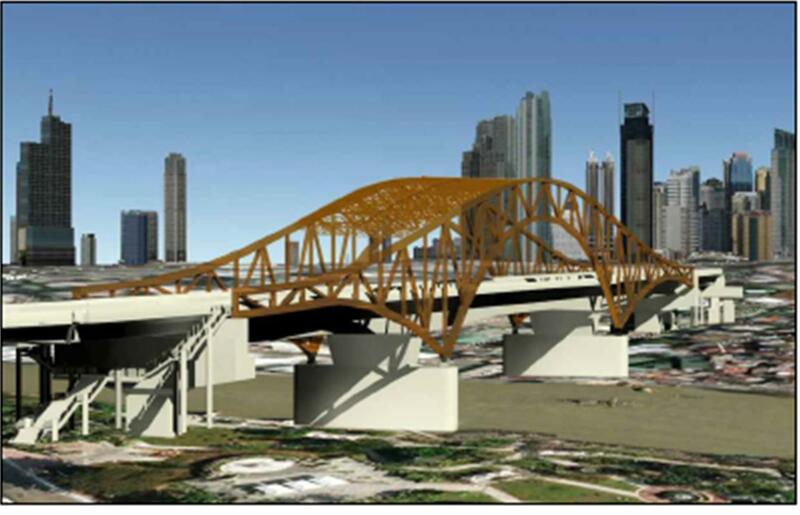 Monica-Lawton bridge, which will connect Bonifacio Global City and Ortigas Business District. For people to know, I would like to tell you that there has been shortage of bridges that crosses the Pasig Rivers, that was why the bridges on EDSA and C5 served as the bottleneck of the vehicular flows. 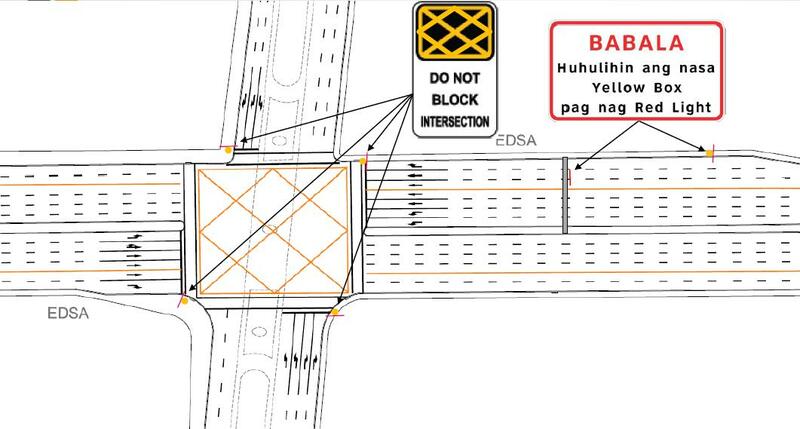 Upon the construction of the bridge, DPWH hopes to redirect some of the vehicles who were having a hard time entering and exiting the Bonifacio Global City. With addition to that, signage regarding the rule on yellow box on intersection are being put to educate the ignorant driver who should have learned this from their driver’s license examination. 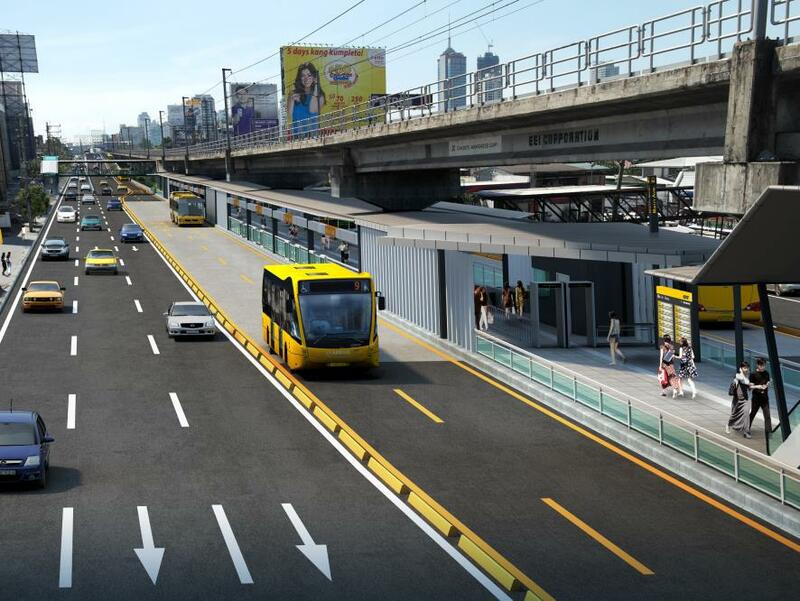 The vision of DOTC regarding the traffic congestion on EDSA is to make public transportation as the number one choice of every person for their daily commute even if they have the option of using a car or motorcycle. 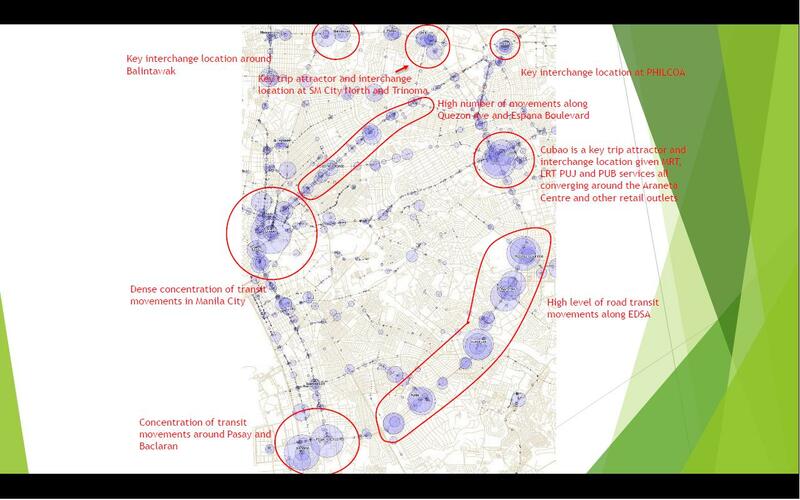 The DOTC attributes the increasing number of private vehicles, congestion on bus stops and on-street competition among buses/jeepneys as the leading causes of traffic. The public needs to preserve the high share of public transport use on roads, which sadly is being chipped off by the growing number of private vehicles, unlike the mass transport systems which remained stagnant in numbers. 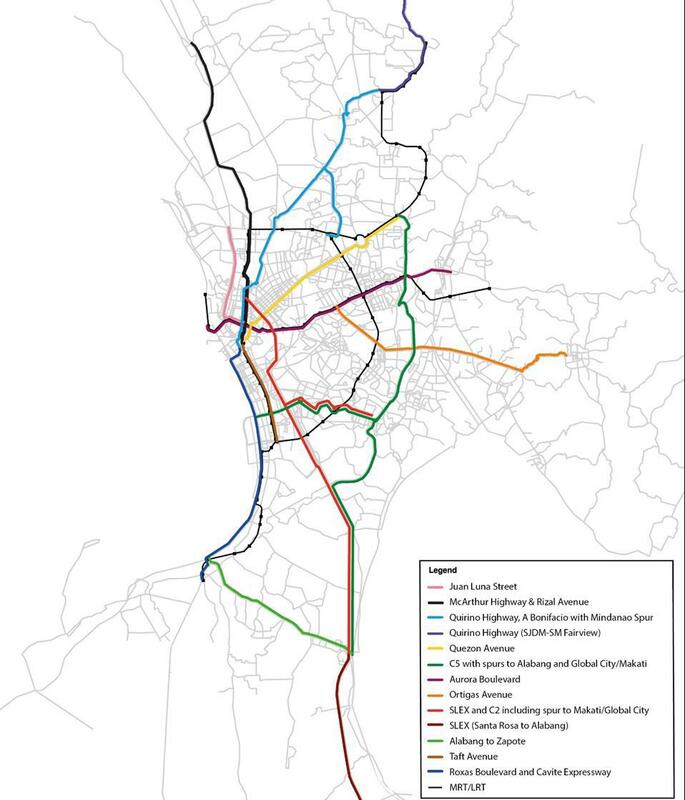 Upon the analysis of routes and services of PUVs and private vehicles, it is found out that the majority of the commuters are coming from the northeast end of Metro Manila(Fairview, San Juan Del Monte). 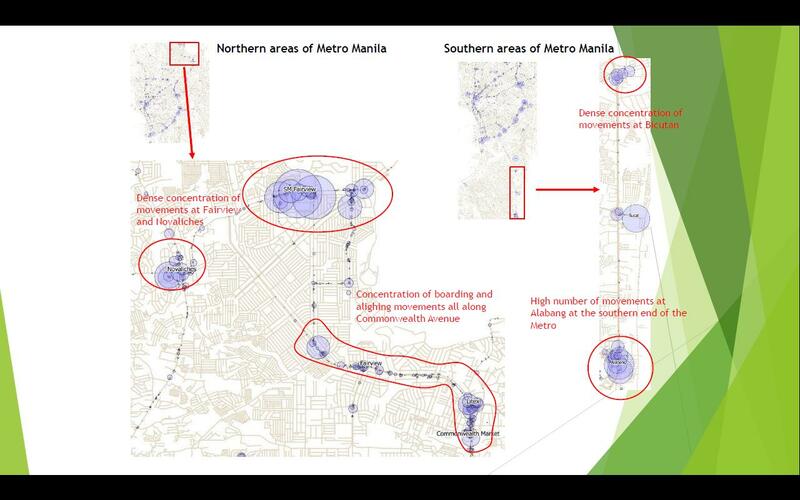 MRT-3 Capacity Expansion (With the purchase of higher capacity trains, increasing the capacity to 60%. 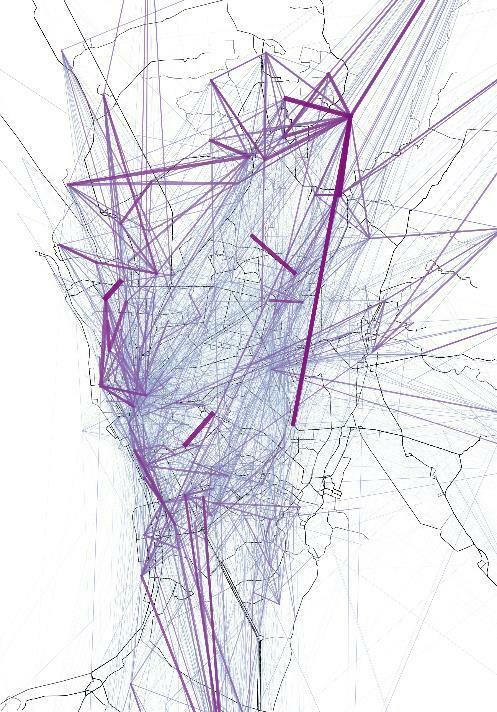 Increasing number of accommodated passengers from 560,000 to 1,000,000, a day. The North-South Railway, which will extend far north to Malolos and south to Los Baños. Introduce higher quality service to attract car users to use buses. Maximum 2 stops on EDSA per direction; outside of EDSA, there will be a maximum of 6 stops in each direction. Total of 8 stops each way only. Up to 20% higher fare can be proposed, but fare subject to LTFRB approval. EURO IV or better emissions. 10% of EDSA aircon city buses offering express services by end of 2015. Point-to-point Express Bus to be launched by October 2015. With all of these propositions of the government being laid out to us, it is then our duty to support the implementation of these schemes. If you want change, then you must support these propositions by the government. The government is willing to entertain more suggestion from the public. Comment below if you have something more in mind. ← Was Gregorio Del Pilar a hero after all?